Sometimes there are somethings that taste much better when other people make it. Today's post is one of those things. 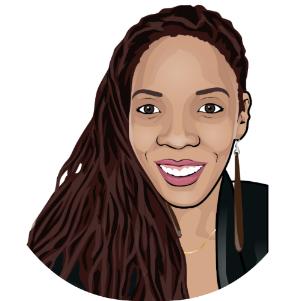 Join in for today's guest post from JustBeeYoutiful founder LaciJo. I love granola! I like to munch on it as is, or add milk or yogurt for a wholesome breakfast. My issue is I have A LOT of food allergies, and it has always been challenging for me to find a store-bought granola that meets all my requirements. Eating out in general is challenging for me because I have an allergy to something small like a preservative or enzyme which I can’t seem to pinpoint yet. Because of this I've had the experience (with granola and other foods I've bought) where I would search through the granola offering at the store for any ingredients I needed to avoid, take it home, eat it, and still react to it. So I've been trying as much as possible to prepare my own meals and snacks, and this is how I started making my own granola. Mixing up your own granola not only means you can control your ingredients, you also have the freedom to be creative and change things up, adding in your favorite spices. As my base I use whole rolled oats. Be sure to check the label if you need gluten free. I personally like to have A LOT of fruits and nuts in my granola for a very chunky mix, so I have equal amount of nuts and fruits to oats. 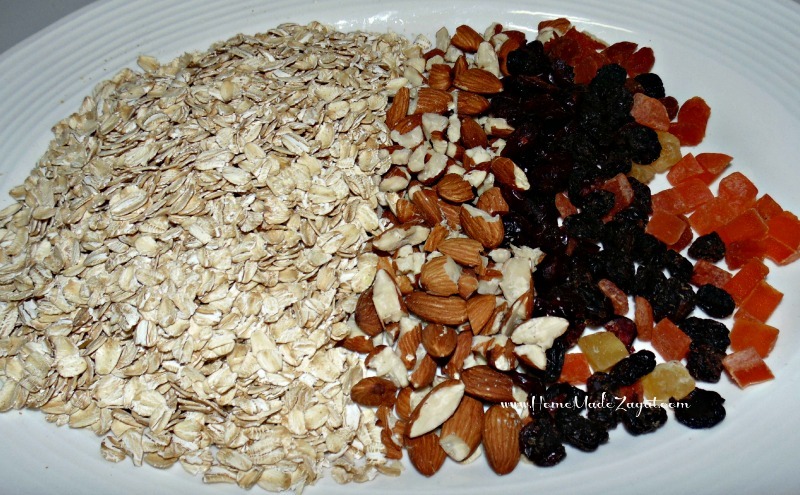 But if you don’t want such a chunky blend, mix twice the amount of oats to fruits/nuts. I chop up my almonds quite loosely, leaving some of them whole, because as I mentioned I love chunky blends. For a more uniform, less chunky look try chopping up large nuts or dried fruit in smaller pieces (using a food processor or chopper if necessary). 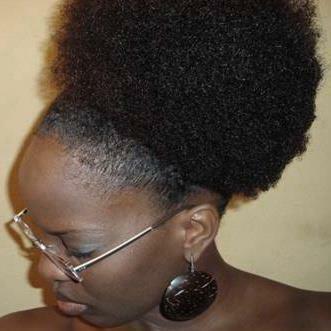 I like to use coconut oil, but you can use any healthy oil you like the taste of. Avoid oils with strong flavors that might change or overpower the taste of your granola such as olive oil. 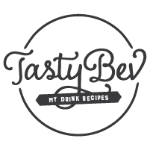 Control your sugar content to suit your taste by leaving out sugar and just using honey or vice versa. Always bear in mind that dried fruit also adds sweetness. These measurements are flexible; I hardly ever measure anyway, I usually just average and throw things in, so don’t worry too much about being exact, just be creative! As long as your proportions of oats and fruits to liquid/syrup is close enough to the recipe. I store my granola in a mason jar or an airtight container in the cupboard. If you manage to control yourself better than I can and your granola needs to last more than a week, keep it in the fridge. So there's my recipe for something I love to eat that doesn't make my itch, sniff or regret eating it. Apply some cooking spray or a light coating of oil to your baking sheet and set aside. Pour the oil, honey, and sugar into the saucepan over medium heat and stir together. Simmer for about 5 minutes or until sugar dissolves. 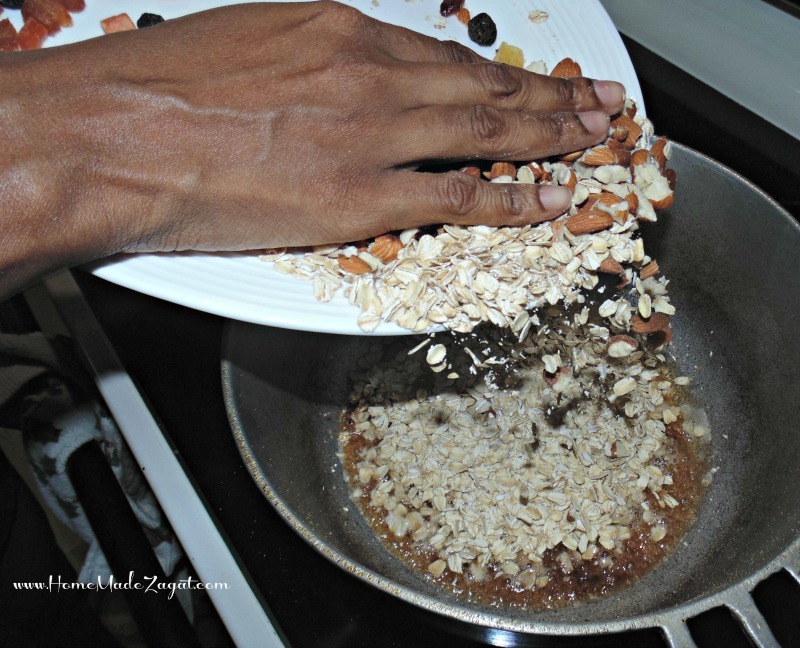 Sprinkle on any spices and salt, then dump in all your oats, fruits and other dry ingredients. Stir well to thoroughly coat the dry ingredients. Spread the mixture evenly on the baking sheet and bake for approximately 10 minutes, you just want to lightly toast everything and give it a nice caramel color. Cool slightly before using a spatula to remove from the baking sheet. 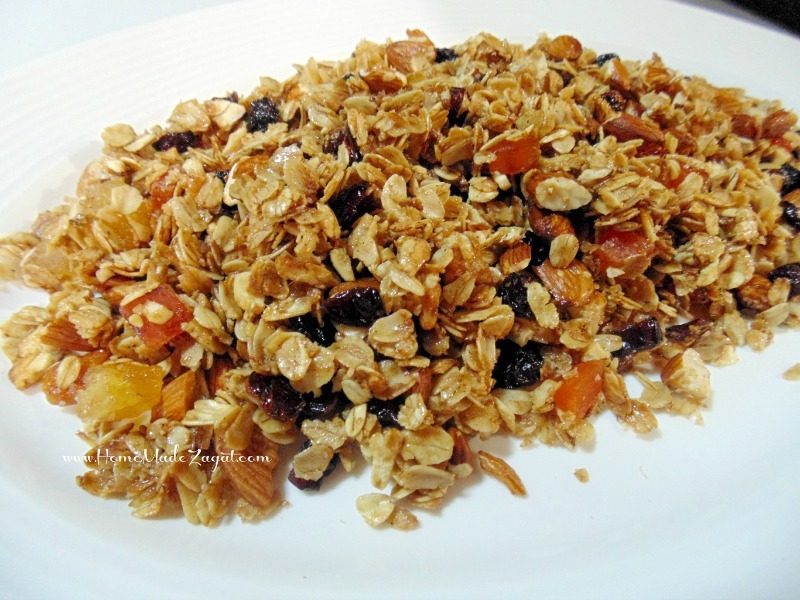 Some of the granola stays loose while some of it clumps together in big chunks, which I don’t mind at all. 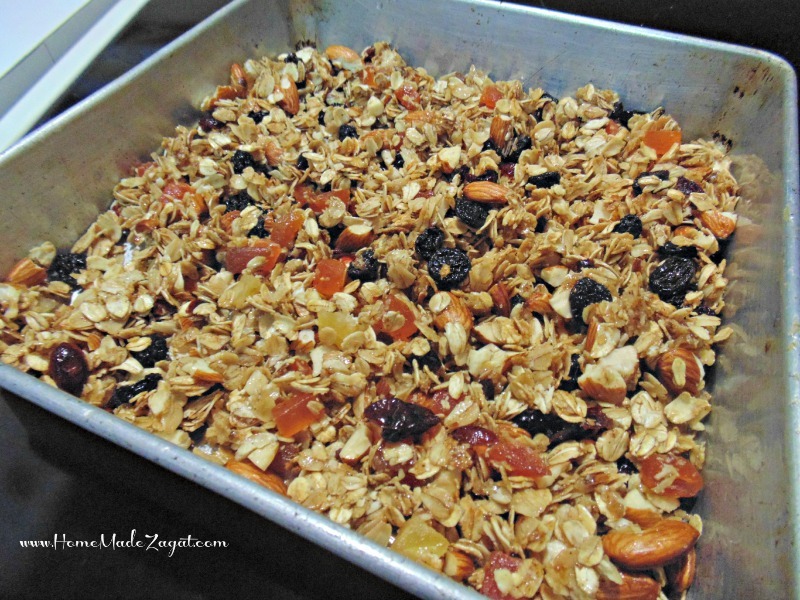 If you prefer more big chunks allow the granola to cool on the sheet for a longer time so larger areas stick together as it cools. This sounds absolutely delicious! I love granola! Doesn't it?? I just looks so tasty.. Ya don't need milk with this.. grab and goo!! 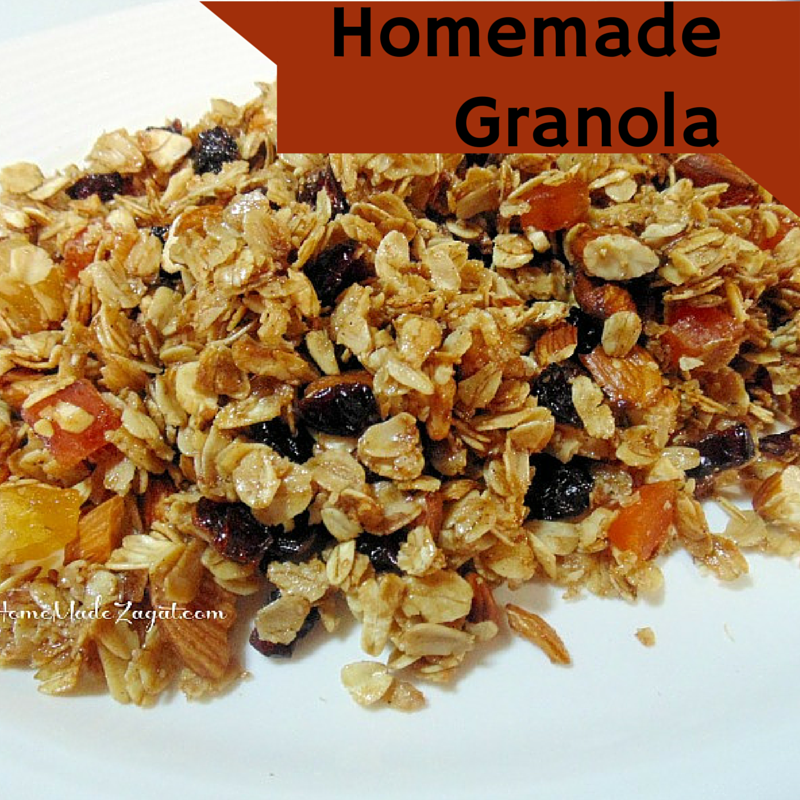 I LOVE homemade granola (or store bought, for that matter). This looks delish! oooh weee thanks for this recipe, I love homemade snacks and healthy ones too! You are very welcome. Let me know what flavors you tired! !